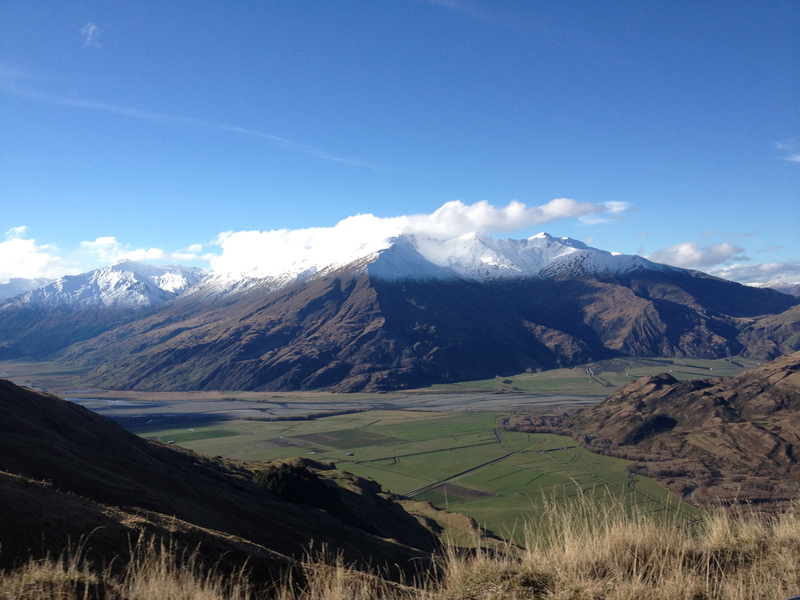 The Southern Alps of New Zealand are bigger than the Swiss and Italian Alps combined (Timothy Sweeney Live photo). As it did for a lot of impressionable young skiers, watching Warren Miller’s annual feature ski films has done a number on my bank account. Almost as much as that reliable old friend/foe Captain Morgan. One year, a crew made its way to the Southern Alps of New Zealand and I remember Warren narrating something like: “The Southern Alps of New Zealand are bigger than the Swiss and Italian Alps combined.” A helicopter whisked skiers to the top of some ridiculous peak bathed in brilliant sunshine and buried under fresh powder. The scenery was staggering and the mountains seemed to stretch on like a dinner with your mother-in-law, only prettier. Below them, the New Zealand countryside was bright green and sheep ran to and fro. In New Zealand, there are always sheep. Those memories were on my mind as I touched down in Queenstown to ski nearby Treble Cone and The Remarkables. Queenstown fancies itself the Extreme Sports Capital of the World and it’s hard to argue with that claim. You can do it all here: bungee jump, heli-ski, take a jet-boat ride that skims past canyon walls, drink booze alongside attractive young Scandinavian backpackers who were born when you were in high school, go skydiving, ride a zip-line, and the list goes on. The streets of Queenstown are lined with places to sign up for any of the above activities (except one; and it’s probably the one you wanted to sign up for). 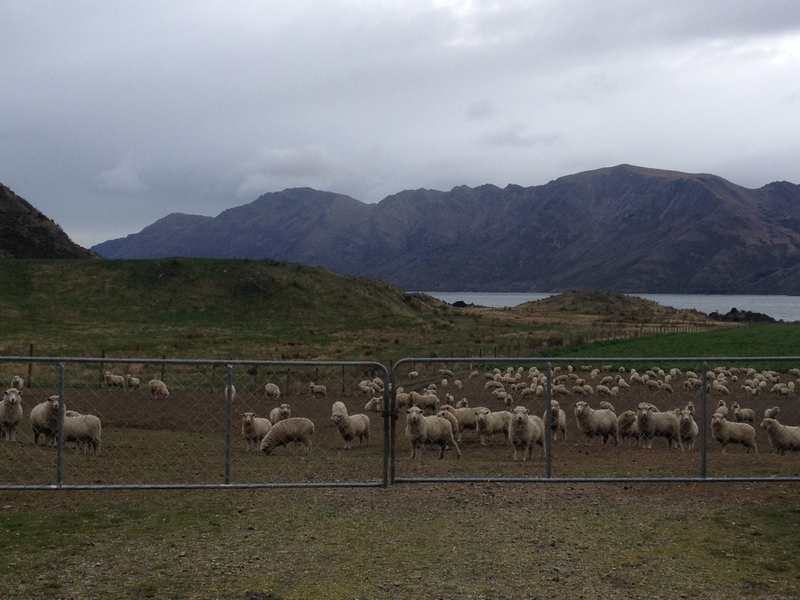 Sheep are ubiquitous in New Zealand (Timothy Sweeney Live photo). In every bar, restaurant or ski shop the accents of the young hired help are as varied as they might be at a UN peace conference or a 7Eleven anywhere in America. Everyone is from somewhere else. Some work for a few months before moving on to wherever their backpack takes them — Australia if they want to work and have visions of Bondi Beach and blondes with lovely accents, or Thailand if they are broke and enjoy massages and sprinting to the bathroom 20 minutes after every meal. Others planned on coming to Queenstown for six months and never left because it’s the kind of place you plan to visit for six months but never leave. A bit like Detroit. On the day I arrived, the Otago Daily Times ran a headline that said “Best Boozers Get to Choose Rooms.” The accompanying story was a detailed account of how six college students who lived together in the nearby town of Dunedin used drinking games as a means of determining which of them secured the best rooms in the house. They also had a pig named Wes living IN their house, which was OK’d by their landlord, also named Wes, as long as they named the pig after him. Based on a photo, it appeared that Wes — the pig, not the landlord — slept on the couch, which one would have to assume made him the worst drinker of all the residents, or just unable to comprehend how the drinking games worked. Seems a bit unfair, to be perfectly honest. How can one expect a pig to know how to play flip-cup or quarters? I have college friends who never quite figured it out. Queenstown sits right on the edge of Lake Wakatipu, and the earth rises drastically all around it. The mountains — most notably The Remarkables on the opposite side of the lake from the town, are rugged and turn into jagged rock the higher they climb. As you drive just a few miles out of town, the landscape looks as though someone picked up the Swiss Alps or Colorado Rockies and dropped them on top of the Irish countryside. The lower landscape is rolling green hills and beautiful blue lakes, and large peaks tower some 6,000 plus feet above. Queenstown itself has the feel of a ski town like Lake Tahoe (complete with a casino), despite the closest ski resort, also called The Remarkables, being a solid and quite harrowing 40-minute drive away up a 13km dirt road. It only snows in Queenstown a handful of times each winter due to the low elevation and somewhat temperate climate. As you look to the peaks around you, the snow line is high above, usually in the neighborhood of 4,500 feet. Like all tourism-based towns, Queenstown has a healthy supply of bars (50 plus), restaurants and T-shirt shops. The residents are decidedly youthful, probably because you don’t do a lot of bungee jumping or shepherding into your 70s, though the shepherding demographic is purely speculation on my part. By far, the most popular place is town is a burger joint called Fergburger. It’s not hard to find. Look for the place with the line pouring out the door at all hours and the patrons leaving who look like they just had Thanksgiving dinner between two buns. If you go to Queenstown, go have a Fergburger. Then find a comfortable place to sit and feel terrible about yourself for 30 minutes. Tim Sweeney was an award-winning reporter for The Vail Trail many moons ago. To view the longer version of this story and read more of Tim’s witty travel yarns, subscribe to his blog on his website here http://timsweeneylive.com/?page_id=2. And look for more of his travel stories here on Real Vail in the days ahead. Next: Skiing Treble Cone.